The Camisea gas project is one of the largest energy projects in Peru and is central to the country’s economy. It cost $2.7bn. The Camisea natural gas fields were discovered by Shell in 1986. The project first became operational in August 2004 to make Peru a gas-rich nation with royalties of $34 billion expected over the 30 year duration of the project. The Camisea gas field is situated in the San Martín reservoir in the Amazon Rainforest and is connected to the Port of Pisco via the Camisea pipeline (discovered in 1983–1987). It was considered that the field has possible reserves of 11 trillion cubic feet of gas and 482 million barrels of natural gas liquids. The pipeline passes through the Andes via the Malvinas liquid separation/natural gas liquids recovery/gas compression plant, which recovers propane and heavier liquids, and then finishes within the Paracas National Reservation near the port of Pisco (560km) at the fractionation plant (separates LPG) before being passed to the Pisco marine terminal via either the natural gas pipeline or the natural gas liquids pipeline. In addition a second pipeline runs from Malvinas 715km along the coast to Lima and Callao for distribution of gas to residents and industry. Paragon Engineering Services Inc of Houston was one of the chief contractors for the development of the Camisea Upstream Facilities Project located in the jungles of Pew, east of the Andes Mountains on the Urubamba River and Techint of Argentina were responsible for construction of the pipelines. The Camisea project consists of the gas extraction section, owned and operated by Pluspetrol, the gas transportation pipeline owned by Transportadora de Gas del Peru SA and the distribution network mediated by Cálidda. Other partners in the project include Pluspetrol Peru Corporation SA; Hunt Oil Company, Sucursal del Peru; SK Corporation, Sucursal Peruana; Tecpetrol del Peru SAC and Sonatrach Peru Corporation SAC. April 2007 saw new proposals from Suez Energy and Kuntur Gas Transport for pipelines to carry Camisea gas to the southern regions of Peru where successful copper mining operations (the second largest in the world) could benefit from a reliable energy source (including Southern Copper and Cerro Verde). Suez Energy has asked the Peruvian Government’s permission to construct a pipeline of around 518 miles (834 km), stretching from the region of Ica, in southern Peru, to the city of Ilo, near the coast (the investment will be $1 billion). Manlio Alessi, president of Suez Energy Peru, commented: “We foresee the pipeline starting its commercial operations before December 2011, but if the first stage goes quickly, it could start as early as the first half of 2011.” In addition, Kuntur Gas Transport has asked the government’s permission to build a pipeline of 675 miles (1,085km) in southern Peru (an investment of $1.2 billion) to supply the Andean cities of Cusco, Puno, Arequipa and Moquegua. The Peru LNG project will also take gas from the Camisea fields for export. In November 2005 Chicago Bridge and Iron (CB&I) was contracted by Pluspetrol Peru Corporation to supply and construct a new natural gas processing plant at the Malvina site as a part of an expansion of the Camisea gas project. The $45 million project, which was completed in early 2007, involved the engineering, procurement, modular fabrication and FAS supply of two cryogenic trains, each designed to produce 360 million standard cubic feet of gas per day (cfpd). 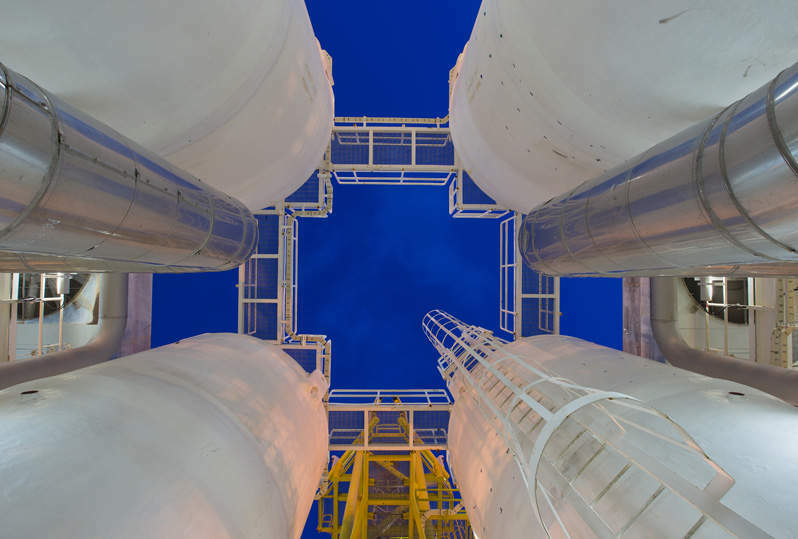 The units were designed to treat gas extracted from the Pagoreni field to remove water and then separate the heavier hydrocarbons (natural gas liquids) out of the gas stream. CB&I had already supplied the initial cryogenic plant at Malvinas, along with associated storage facilities. The original plant consisted of two cryogenic modules of 220mm cfpd and two compression plants of 38,000HP each. In April 2008 a further expansion at Malvinas was almost at completion and this has involved an $800 million expansion of the liquids recovery gas compression facility to boost gas production to 1.2 billion cfpd from 500 million cfpd and liquids output from 37,000 bpd to 75,000 bpd. In early 2008 Pluspetrol Oil Company announced that the Camisea natural gas fields contain about 20% more reserves than originally estimated. As per the earlier estimate, the gas fields were believed to contain natural gas up to 10.86 trillion cubic feet (tcf). Now the reserves contain 13.40tcf (379Bm3). Pluspetrol found that Block 88 has 10.4tcf and Block 56 has three tcf of natural gas. The company’s general manager, Norberto Benito, said that their data has been verified by the international energy consulting firm Gaffney, Cline and Associates. Most of the natural gas produced by Camisea natural gas fields will be exported, generating an average of $230m a year in incremental royalties and $90m in income tax revenue for the Peruvian Government. The Inter-American Development Bank and the US Export-Import Bank have promised to partially finance a natural gas liquefaction plant on Peru’s southern Pacific coast. The plant will liquefy the natural gas purchased from Camisea and export it to Mexico, Chile and the US. The Camisea gas fields are located in a fragile biodiversity hot spot in Peru’s south-eastern Amazon jungle basin and hold some of the largest undeveloped gas reserves in South America.